I am an esoteric healer in the Bailey tradition, trained by INEH tutors Lani Murphy (NZ) and Judy Jacka (Australia), in the early 2000’s. This is soul or ‘higher self’ focused healing. Esoteric means ” that knowledge which is known on and about the inner spheres,” from the Greek esōterikos or eso – within. An Esoteric healing practitioner does not claim to heal, but rather to assist (where permitted) in the re-balancing of the energy field of an individual. Thus, the person’s own life energy can flow freely again and aid his/her innate healing process. The practitioner aligns to the Source or Spirit of all Life so that energy will flow through him or her, and will offer – but never force – energy, and ask that healing shall be given in accordance with the will of the client’s higher self or soul. The esoteric healing keynote is world service, is non-sectarian, non-political and international in its thinking. 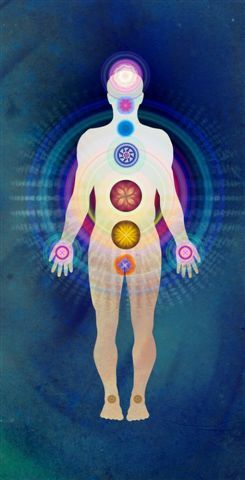 Esoteric healing practitioners recognise Life as the primary source of power. Healing means ‘to make whole’. Esoteric Healing is about making whole on and between every level – physically, emotionally, mentally and spiritually – so that ultimately the essence or soul of our being can find full expression in our lives. I offer esoteric healing, in my clinic, or at your home, private care or hospital setting. Sessions are usually for 60 minutes, depending on a clients energetic constitution and state of health. People that are experiencing health challenges, such as cancer, immune-conditions and lack of vitality will find the subtle gentleness of esoteric healing very beneficial and effective. Clients remain clothed. Healing can be given from ‘distance’, meaning that a client is not physically in the same room, city or even country. Everything is part of the same energy-pool in our universe, and I work with human and animal energies, wherever they are in this pool. Please don’t hesitate to discuss, if you would like to know more. We assist healing on behalf of spirit, soul and body, facilitating integration to become ‘whole’.